You must make reservations at least 5 minutes in advance of the time at Miku Restaurant. **Please note: We do not take reservations for the patio, sushi bar, and lounge as it is offered on a first come, first serve basis. Entrance to nearby paid parking is accessible at the corner of Howe and Canada Place Way, under Canada Place. Waterfront Station via the Expo Line, Canada Line, and SeaBus. The sushi bar seating is an entertaining and personalized experience where guests have an opportunity to interact with our chefs on a one-on-one basis, while watching their meals prepared right in front of their eyes. Thank you for choosing Miku Restaurant. Please note that we will not be participating in Dine Out Vancouver this year; our sister restaurants Minami, located in Yaletown, and Gyoza Bar will be participating and are now accepting Dine Out reservations. We specialize in Aburi, or flamed-seared sushi, which was developed nearly a century ago in Japan. The act of applying fire directly and lightly searing sushi enhances the natural flavours and textures of the fish. Miku owner Seigo Nakamura innovated the Aburi concept by crafting specialty sauces using non-traditional Japanese ingredients to pair with each type of fish. The light sear from the binchotan (Japanese bamboo charcoal) then caramelizes the sauce, releasing a smoky aroma and bringing out the finest flavours in each piece of Aburi sushi. 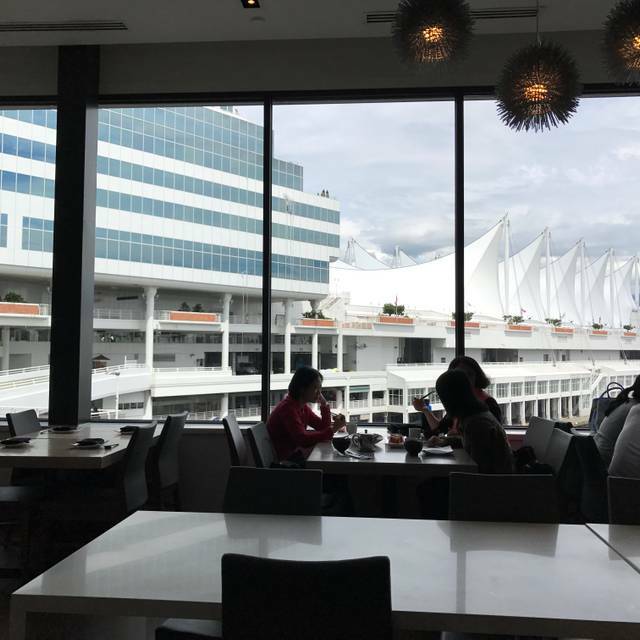 Miku Restaurant is within walking distance from the Pan Pacific Hotel, Canada Place, Fly Over Canada, Cruise Ship Terminals and Sea Bus. 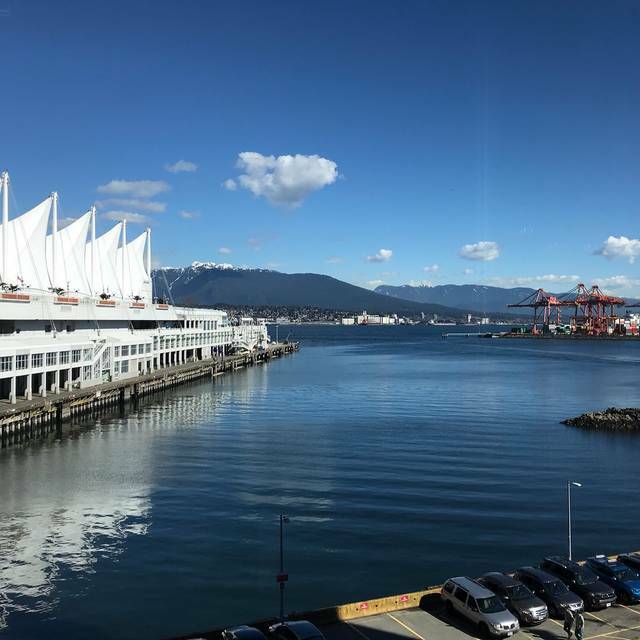 Our entrance is at the corner of Howe Street and Canada Place Way, overlooking the east cruise ship terminal at Canada Place. **We only will hold reservations up to an additional 15 minutes after your reservation time, after which your table will be released. Say thank you the Miku way with our special features for Mother's Day weekend. Join us for dinner and enjoy our decadent Mother's Day Kaisen (seafood) platter, featuring our chef's selection of both local and Japan-sourced sashimi, oyster duo, and fresh seafood. Available May 11-12, dinner only. Excellent service and wonderful food. I highly recommend! Food was fabulous! I’m not a huge fish fan but had the salmon aburi and it was DELICIOUS! Only downside is it was very noisy which made discussing business a little tricky. Loved the salmon oshi rolls! Best sushi I’ve ever had. My husband and I shared the Chef Select and Miku Zen plates. Each was a work of art, and every bite a unique tasting experience. This will be on our must-do list next time we visit Vancouver! What an amazing experience! Great location, easy to get to right on the waterfront. We chose the Chef's Tasting Menu with a Saki pairing - service was very professional; their knowledge of the dishes and Saki was amazing. Very very nice evening, with very unique presentations. Third time visiting Miku. We go every time we visit Vancouver after a friend’s recommendation. Had the chef menu and saké pairing and loved ALL of it. 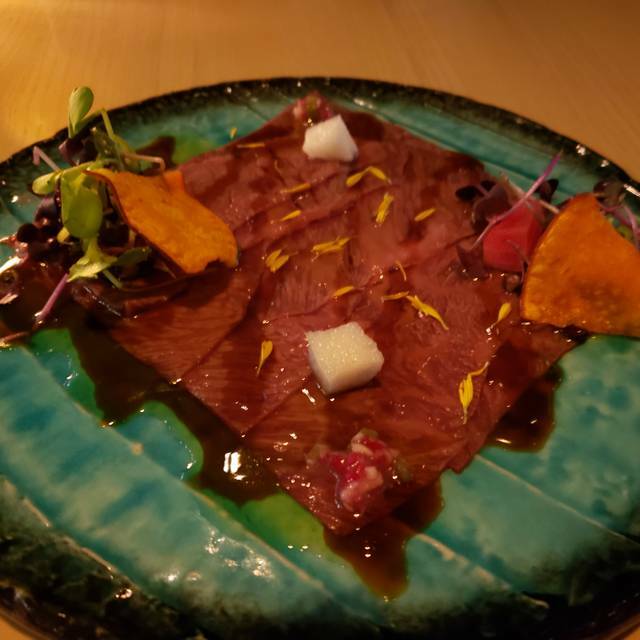 Our server was fantastic and recommended other places to try in town as well as bringing a special taste of a different saké after learning we are big appreciators. It was an amazing experience at miku for my farewell lunch with my best friend that’s moving to Ireland. We actually sat at the same table where we had our first lunch together. Thank you for making this experience even more special. Todo excelente. Me hubiera gustado poder cenar afuera para disfrutar del clima de Vancouver. Lastima que no tenían abierta la terraza. Es una excelente opción, linda vista, exquisita comida, atención de 10. Best Sushi I have ever had! What an amazing experience - I definitely recommend! Outstanding and unique Japanese restaurant. Disappointed by the limited selection of sashimis. Many items were not available. Perhaps I was unlucky. The service was not on par with the prices charged. I don’t care how expensive it is, but it needs to match. Nice decor and beautiful view. Great food and cocktails & excellent service. Our waiter, Lenny, went above and beyond to make our experience a great Vancouver vacation restaurant pick!! Nicely located between Coal Harbour and Gastown. Great patio looking at Canada Place and the NorthShore Mountains. The menu offers something for everyone. We decided to stick to the Arburi items for lunch and of course the Opera cake. My visitor from Calgary was very impressed. great food, great service!!! you habe to try the aburi oshi sushi! legendary! 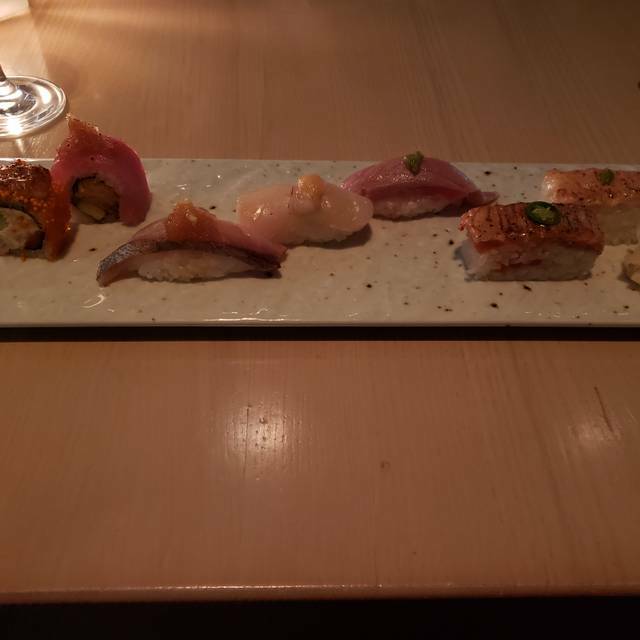 The food was delicious, would definitely recommend trying the aburi oshi sushi. The restaurant was very busy, so make a reservation. Also very noisy, it was difficult to hear and have a conversation inside. Outstanding food and service. We had a family celebration and decided to treat ourselves to some high end sushi. It was one of the best meals I have ever eaten. The Aburi Prime was amazing. 9 complex and well balanced bites that were as beautiful to look at as they were to taste. You would think you would have a favourite bite or one that you would not order again but no, that did not happen. It was really one cohesive experience over 9 distinct bites where the sum of the parts was greater than the individual experiences. Our server was stellar and uplifting adding to the evenings enjoyment. Good food, service and view but comes with a price. Aburi was ice cold. Too much rice. Not enough flavour. Excellent service and the food was amazing. Thanks for the servers who made great recommendations. We ordered Salmon Oshi (5/5), chef's selection (4.5/5), green tea opera (3/5), little emperor (4.5/5), calamari (5/5) and ebi fritters (5/5). These are perfectly enough for 3 adults. Overall, with delicious food, great view, nice decoration and fine service, I would say it was worth the price. Food and service were great, however, the bathroom was quite dirty. There were paper towels and toilet paper on the floor and an unflushed toilet (not fault of the restaurant). Also, the first 2 stalls were out of toilet paper. I let staff know and they were very responsive. I also let staff know that the soap dispenser on the left sink was out of soap. They just told me to use the other one - which is fine for most restaurants but I just didn't think that was an appropriate response for a fine dining restaurant. Nevertheless, the food and service was great. Hello Syka, Thank you very much for taking the time to share your recent dining experience with us. While we are thrilled to hear that you enjoyed our cuisine and service, thank you as well for your feedback on our washrooms. We will definitely be reviewing this topic with our management team, as to ensure all our spaces are up to standard. It is only with feedback like yours that we are able to continue to improve. Thank you again and we hope to welcome you back in the future. Me and my husband had dinner at Miku on Saturday for our wedding anniversary. The food was absolutely delicious, and we were given excellent guidance by our waiter, who explained the menu to us in comprehensive detail, including the most popular dishes and his personal recommendations. The restaurant also treated us so, so well - I told them it was our anniversary, and we were seated at a premium window seat and treated to complimentary dessert. It was such a lovely experience. Delicious meal and setting per usual, but the server was unfriendly. 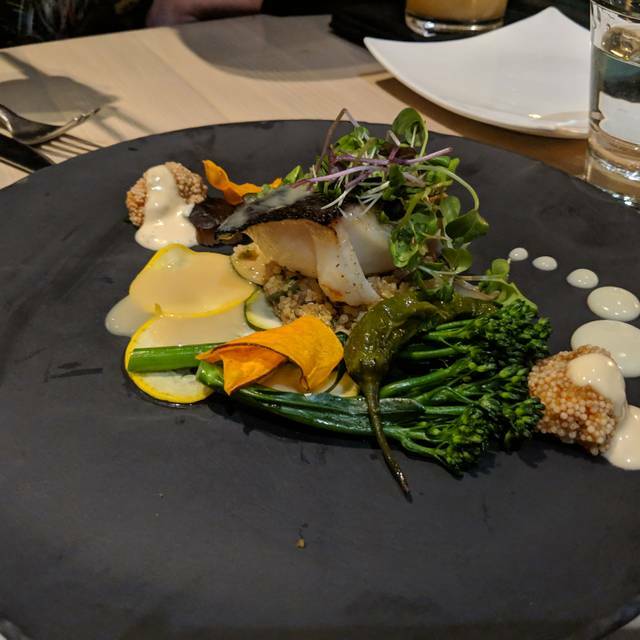 Last couple of times the service was outstanding so it was surprising and a little embarrassing as I brought an out-of-town guest and raved about the restaurant to her. However the service was efficient and attentive so not bad just not to the level I experienced before. Hello Tomljanovic, Thank you very much for taking the time to share your recent dining with us, and for choosing to bring your guest to Miku. While we are thrilled to hear that you enjoyed our cuisine, we are sorry to hear that your experience did not meet the service standards that we are known for. This will definitely be reviewed with our management team. It is only with reviews like yours that we are able to continue to improve. Thank you again and we hope to welcome you back in the future. 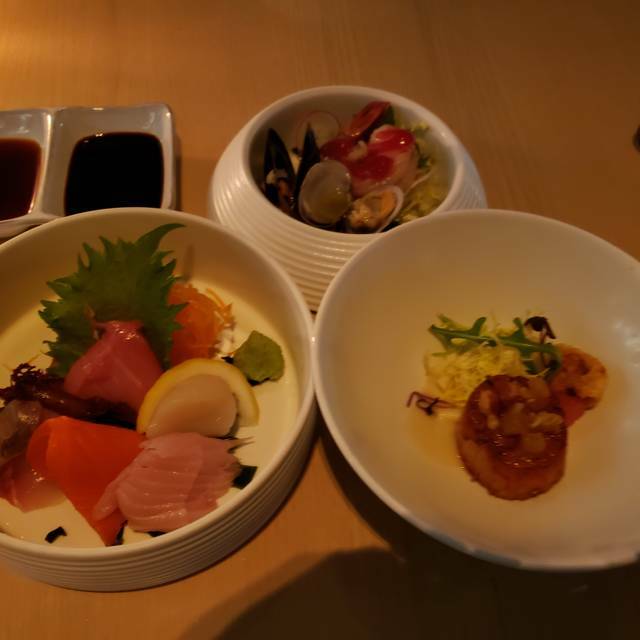 Amazing lunch at Miku Vancouver. We had reservations for 1:45 through Open Table but we called as we were going to be in the area early and we were able to get a table for noon. 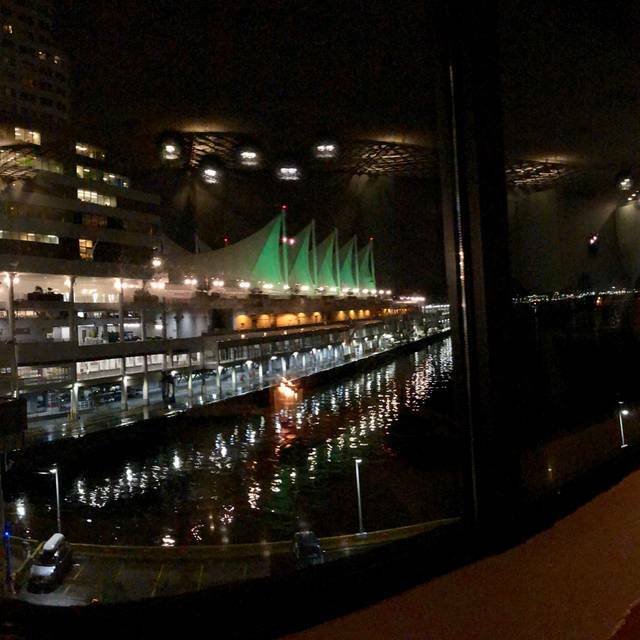 When we got to Miku we were seated at a table which faced the water and a view of Canada Place. We got great recommendations from the staff as to possible choices for sharing or if we wanted to have our own lunch and what were popular choices. We ordered the Aburi Chirashi tart, Kyoto Saikyo Miso Baked Sablefish, Chef’s Select (which came with Miso soup and salad), the salmon and mackerel oishi sushi. 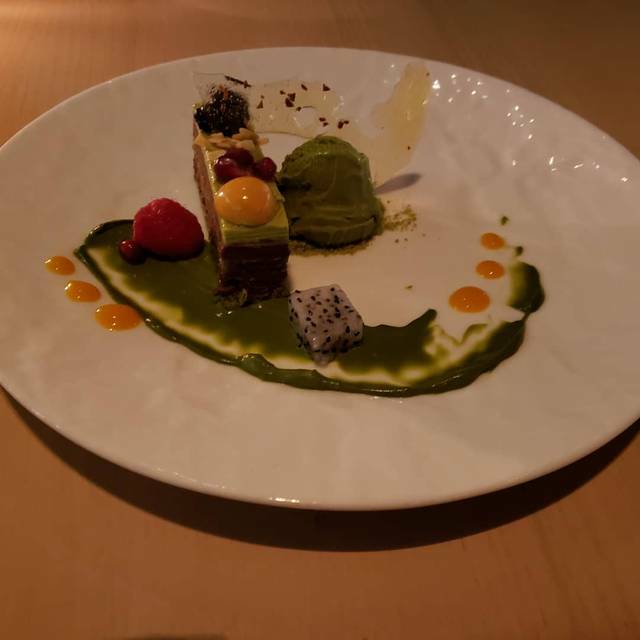 For dessert we had the Green Tea Opera and the Praline Azuki Bean Carre. Everything was sooo good and the fish was very fresh. Our waitress was very hospitable and was very accommodating. Overall it was a great experience and would definitely come back again. The best sushi I have had in a very long time. The salad portions are generous. All the dishes we tried were so interesting and delicious. Excellent service- our waiter Thomas was courteous, knowledgeable and professional. A fabulous tasting menu and we really enjoyed all of the different tastes and textures. Ask for a table at the front for a view across the bay ... but any table is fine. It’s well worth a visit. Miku has some of the best sushi I have ever had! Coming from someone who lives in Seattle and gets fresh sushi all the time, this definitely competes! Reservation is a must, and be prepared for a jam packed house. Service was great regardless. Awesome food and excellent service! Would definitely come again with my family and friends. We were there for a birthday and ordered the kaiseki menu's. Our waiter, Sing (not sure about the spelling but that's how she pronounced it, maybe Seung?) was lovely! She was very accommodating about us ordering the two different versions of the menu and explained every dish in detail. She also went above and beyond in offering to take photos for us, splitting dishes where appropriate, and even giving us recommendations about where to go once our meal was over. Everything was timed perfectly and tasted delicious, it reminded us of Michelin star experiences that we have had before. Amazing service but I asked to have a table with a nice view of the water. I instead got a table next to the main walkway of the restaurant, near the bar. A lot of traffic and chatter from people around the bar. Put a damper on my date. 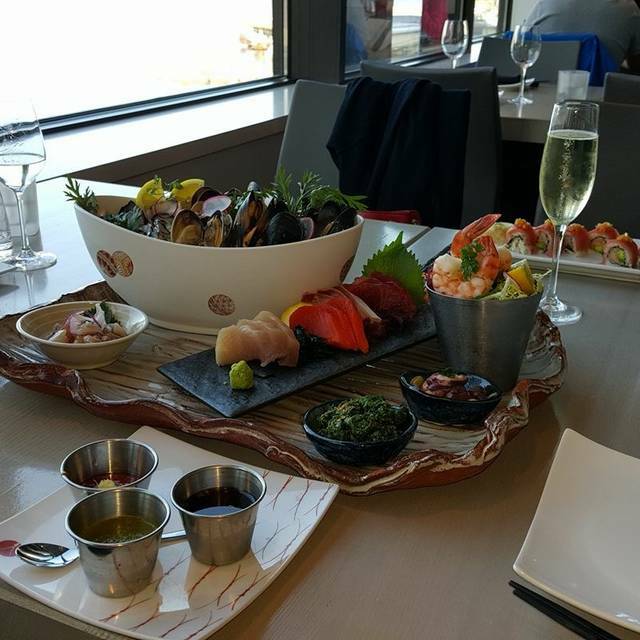 Beautiful, delicious food, paired with an amazing view of the Harbour front. One of the best meals I have had in a long while. If you are into sushi, seafood, or just great food, this place is a must. As someone who has some seafood allergies, they were extremely accommodating, and already offer many great alternatives.